The BSP supremo added that BJP was taking the nation towards dark ages and all other parties must come together to stop it from winning the next general elections. Bahujan Samaj Party chief Mayawati on Monday urged all parties to join hands against Bharatiya Janata Party (BJP) in the upcoming 2019 Lok Sabha polls. Claiming her party's alliance with Samajwadi Party (SP) was aimed at national welfare, the Dalit leader called on all non-BJP parties to combine forces to defeat 'anti-Dalit' BJP. 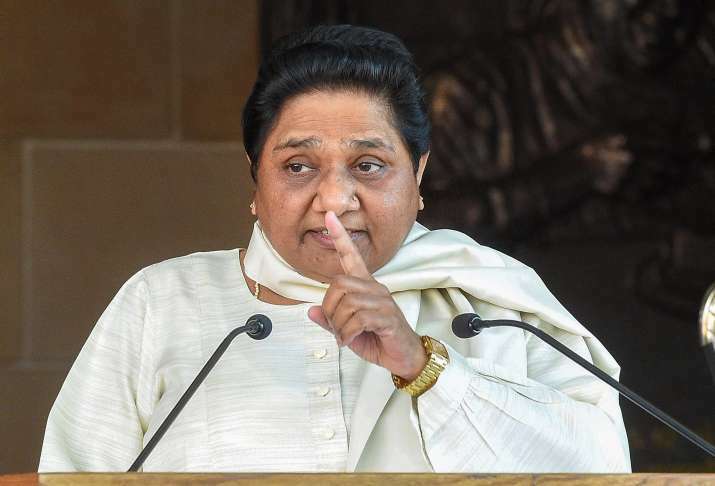 "The SP-BSP alliance is not formed for personal benefits, but to help the common people reeling under the ill-prepared policies of the BJP government at Centre and state levels," Mayawati said in Lucknow on Monday. "No matter how much BJP tries to drive a wedge between us, none of the SP, BSP cadre will get scared of them because we have to unite all other parties against BJP and defeat it in next elections," she said. The former Uttar Pradesh CM also accused BJP of being anti-minority. "In 4.5 years of governance, BJP did only do drama, especially towards Dalits. Modi Ji spoke of BR Ambedkar in 'Mann Ki Baat but his mindset is the stark opposite of what Baba Saheb stood for. That is the reason BJP RSS was kept out of power in the past decades," the BSP supremo said. She added, "They chant Ambedkar's name but oppress those belonging to the category. It's evident from the fact when Bhim Rao Ambedkar (BSP) was made to lose when BJP introduced an extra seat."